Car accidents can be emotionally and financially draining for all parties involved. BMB Law Firms has extensive experience to make sure you receive the benefits and compensation you are entitled to. We will guide you through the legal process and communicate effectively with your insurance company. BMB Law Firm will make sure you or your loved ones recover compensation for medical bills or lost wages, pain and suffering, physical or mental disability, permanent injuries, or property damage. Let us enable you to focus on your personal recovery and ensure your best interest is fully protected. On the other hand, if you believe you are at fault for injuries sustained to another in a car accident, BMB Law Firm can offer expert representation. It is important to hire a criminal defense lawyer in cases such as these, especially if the car accident prevents the victim from working, communicating, or completing routine tasks. We will investigate possible defenses to make your sentence or fines are as minimal as possible. Never discuss any sort of fault or blame with any party prior to talking to your defense lawyer. Car accidents can have a lot of gray area, so let us help navigate these waters. 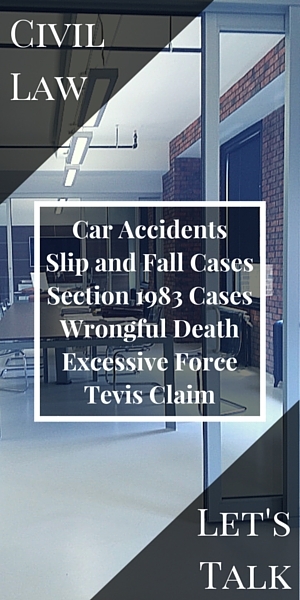 Contact us today if you have been involved in a car accident and are looking for representation.